Until relatively recently, most researchers thought that breast milk was sterile. But it turns out that, like most other body parts and fluids, it’s teeming with bacteria. The composition of its microbiome varies based on a number of factors—including whether the milk was pumped, or fed to an infant directly from the breast, according to a study published today in the journal Cell. The differences contribute to our understanding of pumped milk, which has usually been grouped in with breastfeeding. Researchers stress, though, that just because pumped milk is different doesn’t mean that it’s bad—work is still in early stages, and it’s not clear how these findings should inform infant feeding strategies. The research team examined the breast milk microbiome from just under 400 mother-infant pairs participating in the Canadian Healthy Infant Longitudinal Development (CHILD) study, which is tracking participants from pregnancy through childhood and adolescence. “It’s one of the largest ever studies of the milk microbiome,” said Azad. The results showed that the milk was highly variable, and different women had different types and amounts of bacteria in their milk. The team could only account for about 30 percent of the differences. “The most consistent reason why was the method of feeding,” she said. That was surprising, Azad noted—other potential reasons they investigated were whether mothers had other children, or had delivered by C-section. Pumped milk had higher levels of potential pathogens, which, Azad stressed, are not necessarily actively harmful. “It’s not always black and white. They might have health implications, but we’d need more research to know for sure,” she said. 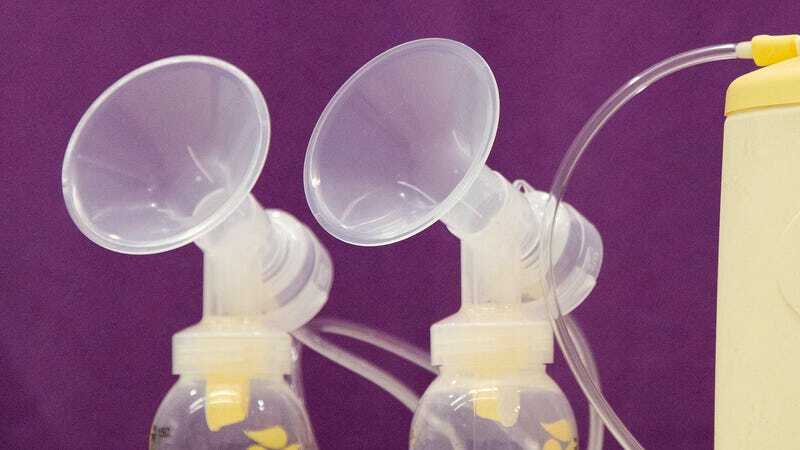 Pumping also was linked to lower levels of Bifidobacteria, which are generally considered beneficial to the infant gut microbiome, in the breast milk. This research did not look at the health effects of pumped milk compared with breast-fed milk, though a previous finding in the CHILD study showed that infants fed with pumped milk are at a higher risk of developing pediatric asthma than infants fed from the breast. However, the direct effect of milk bacteria on the infant microbiome is still unclear, said Sharon Donovan, professor in the department of food science and human nutrition at the University of Illinois who was not involved in the new research. “There’s controversy over how much the milk microbiome contributes to the infant microbiome,” she said. It’s important to recognize, Donovan said, that this particular paper is just one piece of the larger picture of breastfeeding and breast milk, and that the field is still fairly new. “We’ve only known about the microbiome to the extent that we do for about a decade, and we’ve only known about the milk microbiome for three to five years,” she said. The information from this study shouldn’t lead parents, who Azad notes are already stressed about the decisions they make for their children, to dramatically shift their feeding strategy. “We have to recognize that not every baby can be breastfed,” Azad said. That’s why Donovan said she wouldn’t tell a mom not to pump, because in many cases, that’s what makes breastfeeding possible. “We have a country without paid maternity leave, or enough time to establish breastfeeding, and a country where women are shamed for breastfeeding in public,” she said.